On the 5th April 1982, a large British task force set out on a 7500 mile journey to liberate a group of tiny windswept islands in the South Atlantic. On 1st May began the biggest naval action to take place since the Second World War - nearly 900 men lost their lives. 2012 marks the 30th anniversary of the conflict. These pages are not only a resource of information (containing contributions from people from all round the world, many of whom were actually involved) but also a tribute to those who served in the forces of both sides during the conflict. 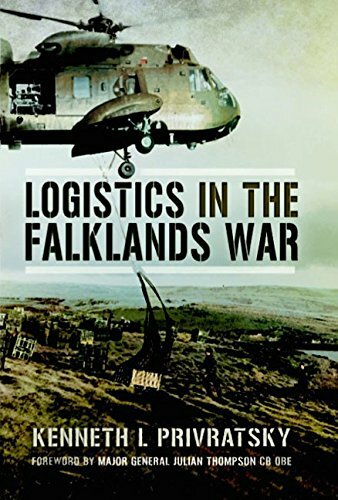 The first in-depth study of the ingenious logistics that enabled the British to win. Describes in fascinating detail the rush to reorganize and deploy forces, dispatch a large task force, the innovative solutions needed to sustain the Task Force, the vital staging base at Ascension Island, the in-theater resupply, the setbacks and, finally, the restoring of order after victory.